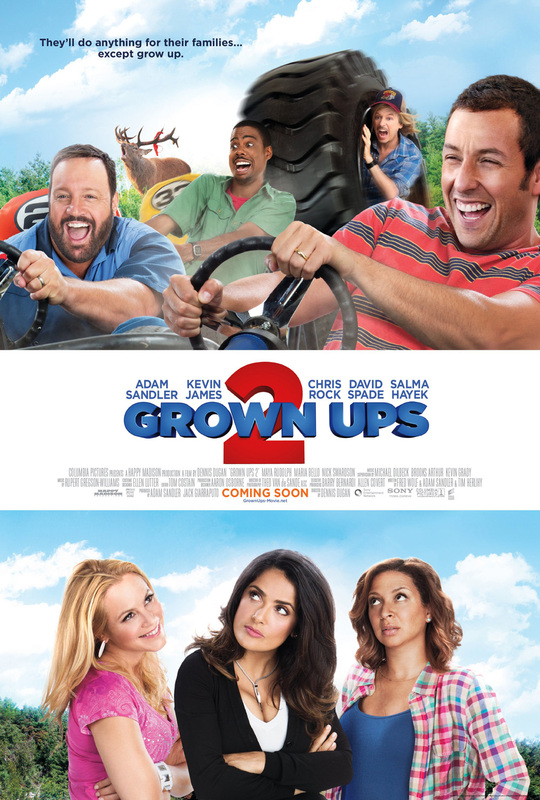 [Movies] Grown Ups 2 New Poster and Trailer - Hello! Welcome to my blog! They are back, and it seems like the grown ups didn't grow up. :) Three summers after the last one, Lenny, (Sandler) decides to move his family back to his hometown and have them grown up with his childhood gang and their kids. This time, they will face new challenges, and will be meeting new friends along the way. “Grown Ups 2.” stars Adam Sandler, Kevin James, Chris Rock, David Spade, Salma Hayek, Maya Rudolph, Maria Bello, and Nick Swardson. It is directed by Dennis Dugan. Produced by Adam Sandler and Jack Giarraputo. The first “Grown Ups,” that was released in 2010, grossed $271 million worldwide, making it Sandler's most successful film to date. 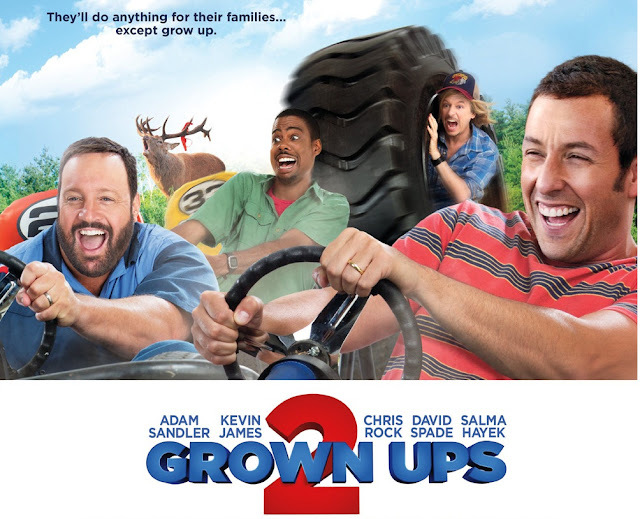 “Grown Ups 2” opens across the Philippines on July 24.